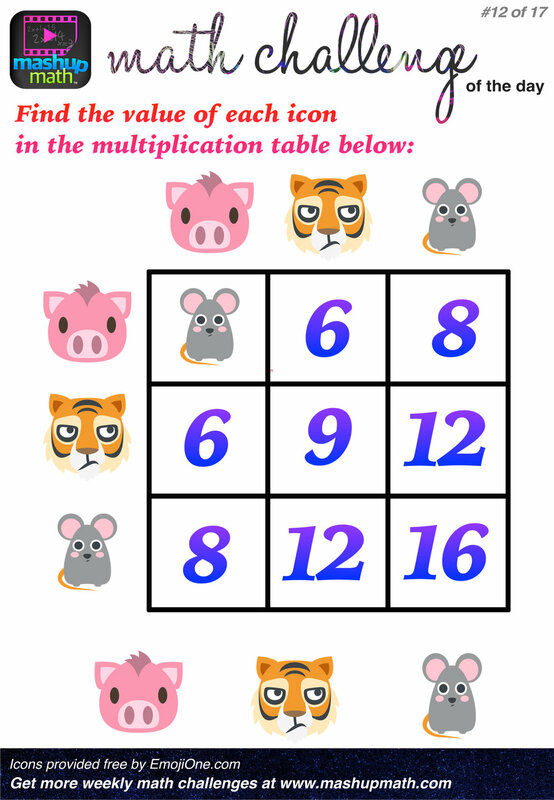 Are You Ready for 17 Awesome New Math Challenges? Winter vacation is over and teachers are taking on the challenge of engaging students and getting them refocused and thinking mathematically again. Many teachers utilize engaging activities to kickstart the new year and get their kids excited about learning math. 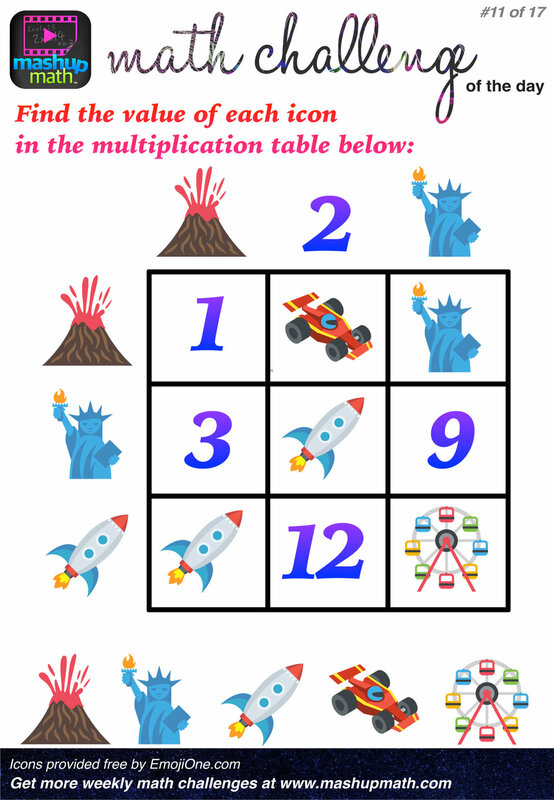 So, in the spirit of getting students excited (and feeling challenged), I have created the following collection of free New Years Math Challenges for you to share with your kids! Each printable math worksheet shares a challenge question (answers are included) appropriate for all elementary and middle school grade levels. 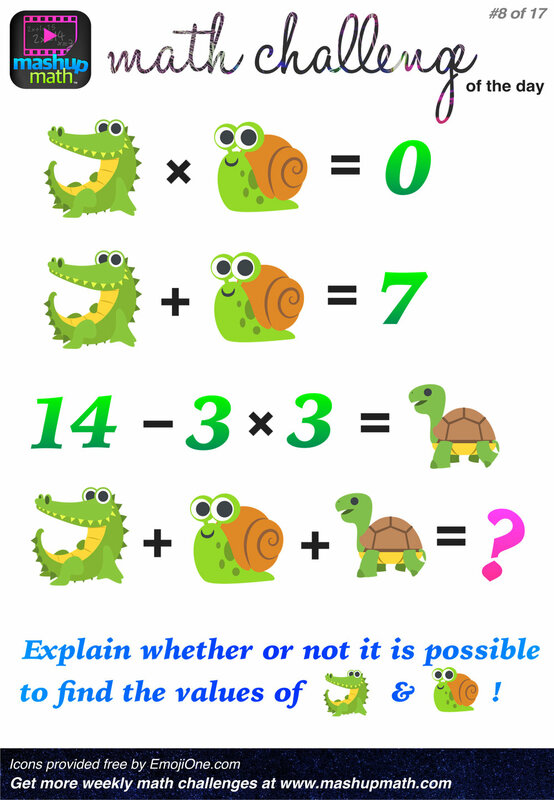 Parents can also share these fun challenge questions with your kids to keep them engaged and thinking mathematically outside of school. 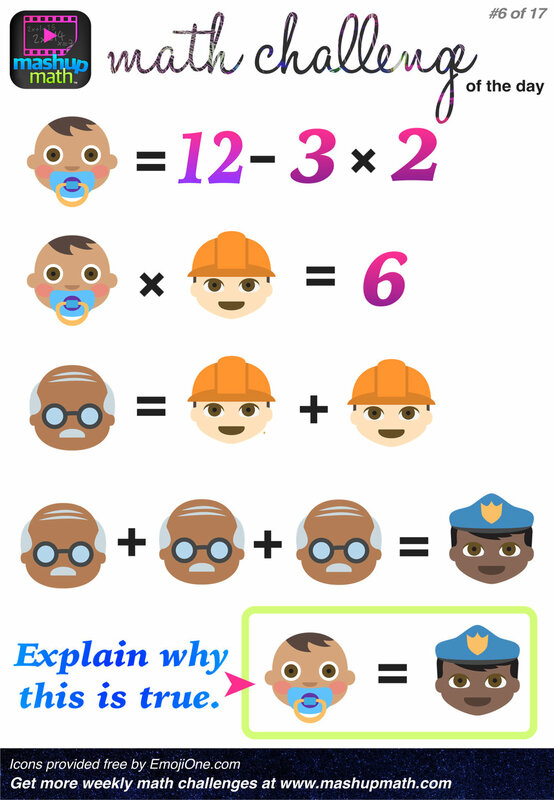 The baby and the police officer both represent a value of 6. They are interchangeable. Our best-selling workbook 101 Math Challenges for Engaging Your Students in Grades 1-8 is now available as a PDF download! One of the pair (alligator and snail) is 7 and the other is 0, but it is not possible to tell which is which. If the value of the cheeseburger was zero, then the value of the pizza and the taco would also become zero. The value of the guitar and the value of the saxophone must be equal (and not zero), since their quotient is one! 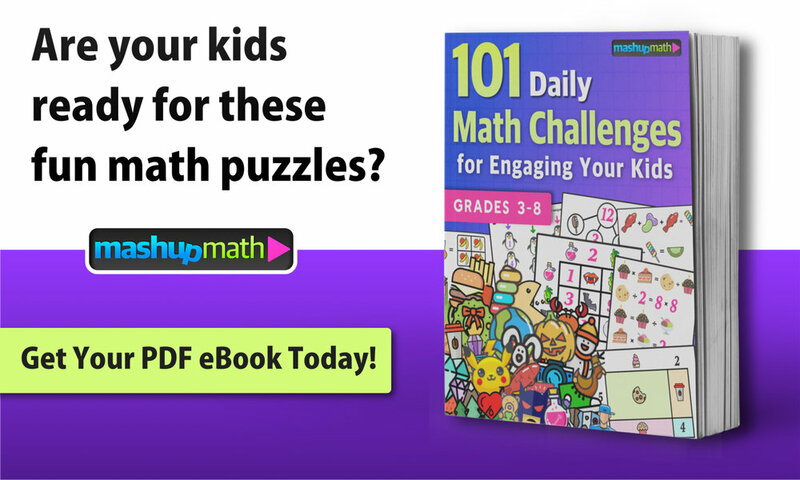 Do you and your kids love our daily math challenges and puzzles? Have thoughts? Please share them in the comments below!